What Comes Out Of The Lita Lab This Time Round? The surprise never end with me and I got another one for you guys. Your going to love this one. That cool above makes me look so cool right? I won’t beat around the bush with this one but I’d like to take the time to thank Remy from The Lily Garden. The other day they announced starting their own solo podcast for their blog. Which is such a brave thing to do and I recommend you go listen to his first one. He did a great job and was an inspiration. I started my own solo PODCAST!!! Haha I know it’s all kind of sudden. Honestly was going to leave it till mid April but no had a moment to myself saying. Let’s just do this. This is a huge thing for me start especially do solo but spent a good portion over the last two days working on this introduction. Josey from It’s An Anime Thing who runs her own podcast and is a blogger. Told me about the podcast app Anchor, which is so easy to use if you want to start your own podcast. Best thing about it is it distributes across on sites Google Play and Itunes Podcasts. Which is awesome no waiting for approval. I already run a podcast why would I start another one? because I’m crazy. Kidding but this blog will specifically posted to my blog only, alongside my twitter as well. Keeping it seperate to youtube, I don’t want to create another channel. I have other nerdy interests such as dramas, marvel, DC movies. But rarely end up speaking about them here, anime just takes over all the while. I wanted an space where I could talk about whatever, in a freely format that was just easy to voice my opinions. That Nerd Lita Podcast was born. I’m hoping to post weekly or whenever can possibly. Because editing a podcast find way easier than a video for me. Anime, Manga, Dramas, Movies Marvel, Dic Etc. I’ll be doing special episodes on older anime of course. Also a seasonal segment called “In The Seasonal Chest”. Where a dedicated episode to a seasonal series from any past or present season. I’ll be covering a seasonal anime that flew under the radar, wasn’t spoken about. I’ll be watching it first then giving my thoughts. I’m excited for this segment give me a chance to watch some more seasonal series. I will have guests appear on episodes only if people wish to appear on my podcast. Anyone is welcome too. All blogger people are welcome too. If you would like to just send me a DM over my twitter or fill out my form on my contact page. Currently in the process of waiting to be available on itunes and Google Play. I’ll let you know when that goes through. Hopefully no dramas. I can’t believe I did this but it’s happening. After this no more taking on anything else. Nope. Nope. haha. I was nervous recording the intro won’t lie. I encourage any blogger friends, know some of you have. About attempting your own podcast and say just go for it. Look at me within two days I’ve already started this. But you don’t have to follow my example, I’m someone that just goes and does things. Hope people enjoy my podcast and introduction. 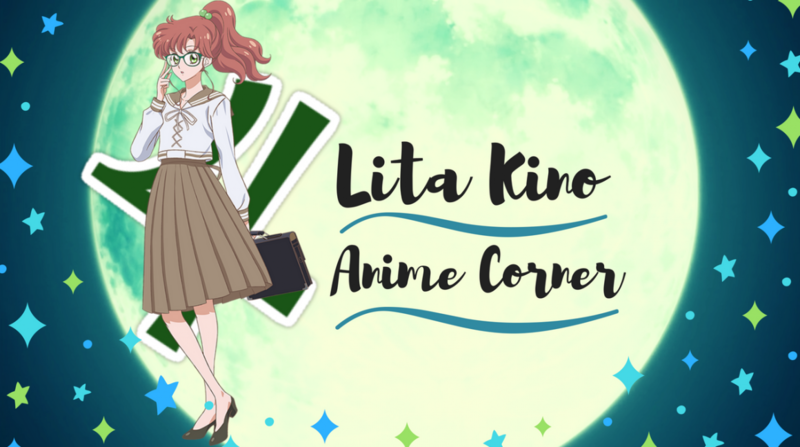 If there is a particular anime or anything you would like to hear my thoughts on it or cover. Please go down below and say “strawberries pretty please”. I’ll definitely look into any requests, it won’t be an issue honestly. Can’t wait to have fun with my own podcast !!! Congrats on branching out once again!! Lita will soon be a name that dominates the entire anime hemisphere! That’s very cool Lita. Best of luck. First thought: Frankenlita!? XD But a friendly Frankenlita, like Frankenstein from Hotel Transylvania. Congrats on your new podcast! Oh, this is such exciting news! And awww I was an inspiration? That’s so nice of you to say. I’m looking forward to listening to more from you, Lita. We’ll try our best, yay! oh wow this is soo cool!